35% OFF Storewide, 420 here we come! 420 Is here and we’re ready to celebrate with you! 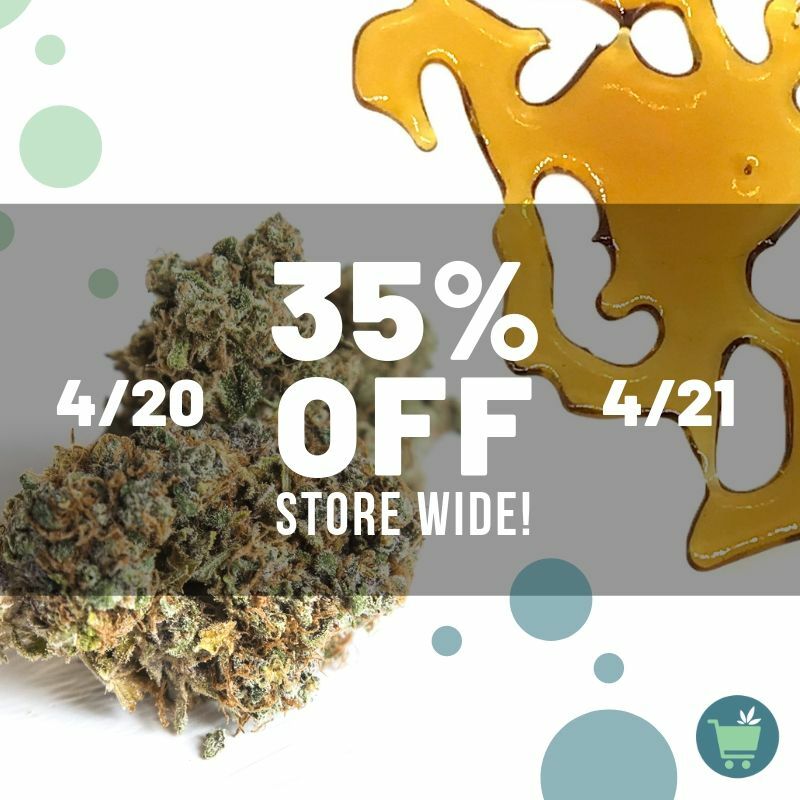 We are offering 35% off storewide on top of our added discounted prices on select pre-rolls, oils, and more. Check out our 420 deals tab. What a great time to stock up on all your cannabis needs and to treat yourself with premium quality products. Oh, and did we mention you can stay at home instead of waiting in long 420 dispensary lines? Sounds like a pretty smokin deal. - Daily legal limits apply: 1oz of flower (including pre-rolls), 5 grams oils. Learn more. *Due to an overwhelming amount of orders we have had to stop incoming orders for 4/20 otherwise we wouldn't have time to deliver them before our OLCC 9pm daily cut off - Sorry for the inconvinience to those that didn't get the chance but we will have the same deals tomorrow - Preorders for tomorrow will begin at 8pm!